I am pleased to announce that the 2003 World Congress will be held in Tianjin, China, in the third week of August (August 18th-21st). Selecting a suitable date turned out to be a difficult task because of the many constraints of other meetings, local climatic characteristics, and academic calendar constraints of our many member countries. This date is not ideal from every point of view, but I believe it represents a good compromise between these many competing influences. It has been an active year for IFToMM, with a large number of meetings and conferences sponsored by our technical committees taking place around the globe. 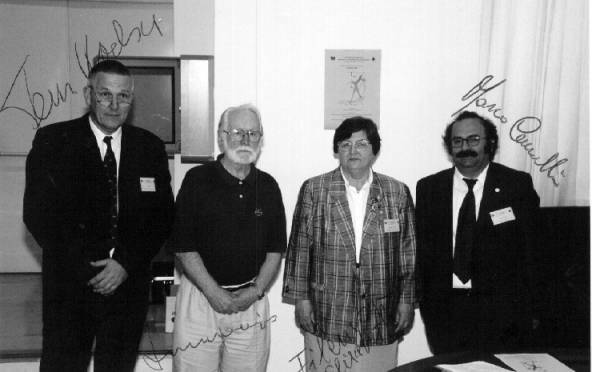 Notable among these meetings was HMM 2000: International Symposium on History of Machines and Mechanisms, which was held for the first time in Cassino, Italy, 11-13 May, 2000 under the sponsorship of the Permanent Commission for History of Machines and Mechanisms. Also, there was a one-time only meeting: The Ball 2000 Symposium held in Trinity College, Cambridge July 9-12, 2000 co-sponsored by the Permanent Commission on Education and the Technical Committee on Linkages and Cams. This was a special symposium commemorating the work of Sir Robert Stawell Ball on the 100th anniversary of the publication of the second edition of his book, A Treatise on the Theory of Screws. The second edition is the one that was widely distributed. It has recently been reprinted. These new and unusual meetings shared the calendar with long-established conference series like RoManSy, ARK, ICSV, IDMME, International Conference on Gearing, Transmissions and Mechanical Systems, MTM and others, along with more regional meetings. The Executive Council met in Zakopane, Poland on July 1st and 2nd. Our reformed constitution has now received final approval. This has been long in the making. The proposed changes were discussed at the General Assembly meeting at the World Congress in Oulu in 1999. Approval was by postal ballot of the member committees. An important consequence of this action is that our name is no longer "The International Federation for Theory of Machines and Mechanisms" with IFToMM as an acronym, but simply IFToMM. The mission statement "The international Federation for the Promotion of Mechanism and Machine Science" may be appended to the name IFToMM when appropriate. The Executive Council will next meet in Milan, Italy on July 6th and 7th, 2001. Another change embodied in the amended constitution is a restructuring of our vital communication activities. The former Permanent Commission on Conferences has been replaced by a Permanent Commission on Communications with broad responsibilities for this newsletter and the web page, as well as for maintaining a register of IFToMM sponsored conferences. Professor Constantinos Mavroidis, of Rutgers University, has agreed to assume the responsibility of chairing this commission, and will assume responsibility for maintaining our web page. Dr. Leila Notash, of Queen's University will assist as the newsletter editor, and Professor William Goodwine, of Notre Dame University (Notre Dame, Indiana) will be responsible for conferences. I would like to take the opportunity of recognizing the very distinguished service of Professor Angeles with respect to both the newsletter and the web page, and the excellent service of Professor Gabor Stepan, as outgoing chair of the no longer Permanent Commission on Conferences. We are in the midst of a careful transition from the old structure, and personnel to the new. I want to particularly thank Professors Mavroidis, Notash and Goodwine for agreeing to help us with these very important functions, and welcome them to our government and operations structure. This is my farewell message as Editor of the IFToMM Newsletter, after serving in this job for 10 years. In these years I learned a lot of IFToMM and its constituents, the experience having been highly gratifying. I take this opportunity to thank you all for your support during this period and for the enthusiasm with which you welcomed the Newsletter, which by now has become an institution within IFToMM. I also take the opportunity to welcome the new team of the just-appointed Permanent Commission of Communications, with Prof. Constantinos (Dinos) Mavroidis as Chair. The production of the Newsletter will be under Prof. Leila Notash's care, who has the experience of having produced the Newsletter of the Canadian Committee for the Theory of Machines and Mechanisms, for the last three years. Conference businesses will be in Prof. William (Bill) Goodwine's hands. With this issue we inaugurate a new format of the Newsletter: There is no more a paper version. The Newsletter will be available only electronically, at the IFToMM Home Page, which is currently under the care of McGill University's Dr. Alexei Morozov. The Page itself will soon move to Rutgers University. Soon thereafter, IFToMM will have its own URL. The upside of this format is that we can now include photographs at virtually no extra cost. It goes without saying that printing and mailing costs are eliminated. One important feature of the new format is the absence of the translations of the Persident's and the Editor's Messages. In order to streamline the production process, the EC decided in its last meeting in Zakopane, in July 2000, to delete the translations. However, we will publish entries in any of the four IFToMM official languages, English, French, German, and Russian. Entries submitted in other languages than English are expected to be accompanied by an English abstract in future issues. In this vein, we include an entry in German on Prof. Kurt Luck's life as an educator in mechanism and machine science, as submitted by Dr. Miroslav Vaclavik, Chair of the Technical Committee on Linkages and Cam Mechanisms. I want to thank the volunteer work of our translators in past issues, Prof. Christoph Woernle, U. of Rostock, Dr. Jean-Pierre Merlet, INRIA (Sophia-Antipolis, France), and Ms. Svetlana Ostrovskaya (McGill University, Montreal). Last, but by no means least, I want to thank my Associate Editor for the last 10 years, Ms. Irene Cartier, for the work she did for IFToMM. This issue features the first message of Prof. Waldron as IFToMM President (in the 1999 issue his message was as President-Elect, for he did not take over but up until January 1st, 2000.) I want our readers to join me in wishing Prof. Waldron a successful term! We include in this issue a report of the Secretary-General, besides our regular Books section, which this year includes many novelties that I am sure our readers will find most interesting. In addition to wishing you all a happy reading, I wish you an enjoyable holiday season. The IFToMM Constitution Committee proposed reforms to the Constitution and By-Laws. These reforms were discussed in the 1999 General Assembly, with some amendments being made to the original proposal. The amended reforms were then subject to a postal ballot. All IFToMM Member Committees received the proposal and were requested to cast their ballot. The SG received 24 votes, all of them positive. The reforms were thus approved unanimously. - The main effort during this period was the 10th IFToMM World Congress, held on June 20 - 24, 1999 in Oulu, Finland. The congress was highly successful, with 500 participants. - The SG, Prof. Tatu Leinonen, visited four Member Committees in Asia: In January he visited Tianjin China, hosted by Prof. Zhang Ce; in February, Taejon, Korea, hosted by Prof. Lee Chong-Won; in March, Hanoi, Vietnam, hosted by Prof. Nguyen Thien Phuc; and in April, Ulan Bator, Mongolia, hosted by Prof. Ch. Avdai. - The Mongolian IFToMM Committee published this year its "Symbols and Appreviations," with French terms replacing their Mongolian counterparts. The replacing terms are those published by the IFToMM Commission A on Standards for Terminology (Mechanism and Machine Theory, vol. 26, No 5, 1999). The EC received the reports of the Chairs of PCs and TCs, as recorded in the Preliminary Minutes sent to Chairs of PCs, TCs, and Member Committees. 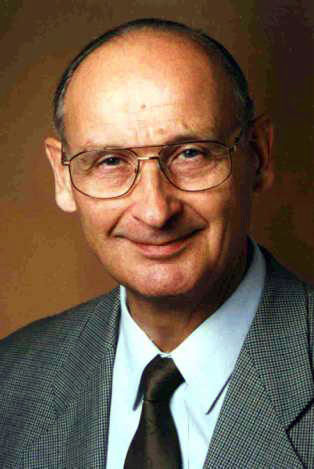 Professor Ladislav Pust was confirmed as Chair of the TC Nonlinear Oscillations until the end of 2001. Dr.Nevil F. Rieger was confirmed as Chair of the TC Rotordynamics for the 2000-2001 period. New chairs of all PCs and TCs will be elected in the 34th EC meeting. According to the Constitution, one person can be a Chair for up to two four-year terms. The 34th EC Meeting will be held on July 6-7, 2001 in Milan, Italy. Am 21. März 2001 vollendet Prof. Dr.-Ing. habil. Kurt Luck, langjähriger Ordinarius für Getriebetechnik an der Technischen Universität Dresden, sein 70. Lebensjahr. Er wurde 1931 als Sohn eines Handwerkers in Steinbach-Hallenberg/Thüringen geboren, wo er auch die Volks- und Mittelschule besuchte. Sein Abiturexamen legte er an der Oberschule Schmalkalden ab und begann anschlieβend die Lehre als Werkzeugmacher, um erste praktische Erfahrungen zu sammeln. Der Betrieb Universalwerk Schmalkalden delegierte ihn zum Studium an die Technische Universität Dresden, wo er bei so namhaften Professoren wie Willlers (Mathematik), Recknagel (Physik), Neuber (Technische Mechanik) und Lichtenheldt (Getriebelehre) Maschinenbau, Fachrichtung Feinmechanik, studierte. Nach dem Diplomexamen war er für mehrere Jahre als wissenschaftlicher Assistent und Oberassistent am Lehrstuhl für Getriebelehre bei Prof. Dr.-Ing. habil. W. Lichtenheldt tätig. Nach der Promotion zum Dr.-Ing. arbeitete er zunächst als Laborleiter und später als Leiter der Forschung und Entwicklung in der Foto-Kino-Industrie bei VEB PENTACON DRESDEN. Sein Arbeitsgebiet erstreckte sich speziell auf Mechanismen zum Filmtransport für Spiegelreflexkameras, Filmaufnahmekameras und Projektoren. Bekannt sind u.a. der Stahl-Lamellenverschluβ der Praktica-Kamera aus Dresden sowie einfache viergliedrige Mechanismen für Schmalfilmaufnahme- und Wiedergabegeräte. In dieser Zeit war er nebenamtlich auch Lehrbeauftragter für die Vorlesung „Konstruktionselemente der Feinmechanik“ an der TU Dresden. - 50 Höher in Konstruktionselemente der Feinmechanik. Die Forschungsarbeiten erstreckten sich vorwiegend auf die Synthese von ebenen und räumlichen Mechanismen. Dabei stand auch die Einbeziehung der Computertechnik im Vordergrund; so wurde u. a. die Burmester-Theorie auf den Computer übertragen und damit der Mensch-Maschine- Dialog weiterentwickelt. Desweiteren wurden zahlreiche Kurventafeln aufgestellt, welche in diesen Jahren die Arbeit des Konstrukteurs wesentlich erleichtert haben. Seine Erfahrungen fanden in drei Lehrbriefen sowie der Überarbeitung des Lehrbuches von Lichtenheldt „Konstruktionslehre der Getriebe“ in der 5. Auflage ihren Niederschlag. Auβerdem entstanden ca 120 wissenschaftliche Publikationen sowie das Lehrbuch „Getriebetechnik-Analyse, Synthese, Optimierung“ gemeinsam mit Prof. Modler. An dem Taschenbuch Maschinenbau, Band 3, welches die Getriebe- und Antriebstechnik umfaβt, war er als Mitherausgeber beteiligt. Von Anfang an war Prof. Luck im Rahmen der IFToMM aktiv, und zwar als Mitglied des Exekutivrates (1975 - 83), Chairman des IFToMM Constitution Committee (1987 - 95), Mitglied und zeitweise Chairman des Technical Committee Linkages and Cams Mechanisms (seit 1985). Seine aktive Teilnahme (Vorträge und Keynote-Lectures) an den Weltkongressen und Symposien der IFToMM sei an dieser Stelle besonders hervorgehoben. Nach dem Fall der Mauer in Berlin nutzte er sofort die Möglichkeit, an den Mechanismen-Konferenzen in den USA (Chicago, Phoenix, Minneapolis) teilzunehmen und zahlreiche Gastvorträge an amerikanischen Universitäten zu halten. Von 1995 - 97 hielt er als Gastprofessor Vorlesungen über Getriebelehre an der Universität Stuttgart. Viele Freunde und Fachkollegen aus aller Welt sowie seine ehemaligen Mitarbeiter wünschen Prof. Luck aus Anlaβ seines Ehrentages alles Gute und noch viele Jahre reges Interesse an seinem Fachgebiet Getriebetechnik. We are happy to inform the IFToMM community that former Chairman of the IFToMM Lithuanian Committee Prof. R. Bansevicius, became the Rector of the Kaunas University of Technology on October 25, 2000. One hundred years ago sir Robert Stawell Ball published his monumental work A Treatise on the Theory of Screws1. At its heart is a concept both simple and divine, to recognize the rotational and translational aspects of nature as features of a single element, the screw. To honour the work and lofty aims of Sir Robert it was deemed appropriate to assemble and present some small offering of his legacy one hundred years thence. To this end, a far-ranging international delegation brought forth some forty-one articles spanning topics in screw theory, both modern and retrospective. Kenneth H. Hunt and Jack R. Phillips, two longtime leaders in the field, provided the keynote addresses. Sessions were presented in the areas of: Geometry and Invariance, Reciprocity, Mechanics, Applications, Finite Screws, Geometry and Gearing, Lie Algebras, Dynamics, Line Geometry and Screw Algebra, Developments and Perspective. The organizers thank the authors, presenters, and delegates for their valuable contributions to this special event. Highlighting the symposium was a candlelight banquet in the medieval Great Hall preceded by a social in Neville’s Court and an exhibition in the Wren Library of Ball memorabilia provided by several of his ancestors in attendance. Other events included the Evensong at Kings Chapel, walking tours of Cambridge, punting on the River Cam, and coach tours of the surrounding area. Dining, socials, and accommodations within the college lent to the air of intimacy enjoyed throughout the symposium. The gracious hospitality of Trinity College, University of Cambridge was deeply appreciated by all. The organizing committee gratefully acknowledges the generous financial support of The International Federation for the Theory of Machines and Mechanisms for helping to make this event possible. 1 Originally published in 1900 and republished in 1998, Cambridge University Press. We have the pleasure to inform you that the Eighth IFToMM International Symposium on Theory of Machines and Mechanisms SYROM 2001 will take place on August 28 – September 1, 2001, in Bucharest, Romania. For further information please visit the web-site http://www.robotind.pub.ro. Because of the delay of this announcement, the new deadline for receiving abstracts is December 20, 2000. We have to inform you also, that the maximum number of papers for an author or co-author is three. The International Symposium on History of Machines and Mechanisms is a new initiative to promote explicitly research and publications in the field of the History of TMM (Theory of Machines and Mechanisms). It was held at the University of Cassino, Italy, from 11 to 13 May 2000. The Symposium was devoted mainly to the technical aspects of historical developments; therefore, it was addressed mainly to the IFToMM Community. A volume for the Proceedings was published by Kluwer Academic Publishers and is available for purchase. This book is on the History of Machines and Mechanisms, and particularly about the History of the Theory of Machines and Mechanisms (TMM). Particularly, the book contains papers grouped in chapters dealing with the History of IFToMM, Mechanical Designs, Ancient Machines, People in TMM and their Work, National Overviews, History of Teaching, History of Mechanical Engineering, Automata and Robots. 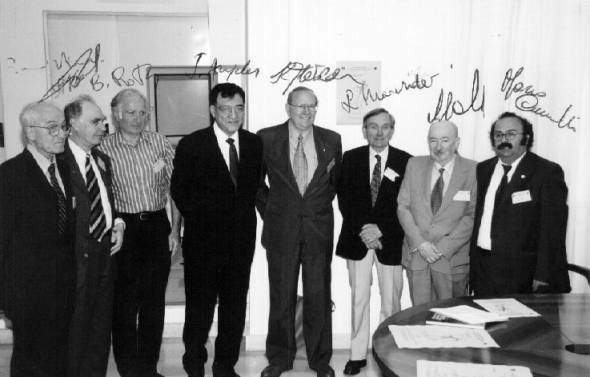 The History of IFToMM was outlined by the past IFToMM Presidents. A plenary lecture treated the history and identity of Mechanism and Machine Science. Original sources are referenced in the papers so that the book can be considered a handbook on the History of Machines and Mechanisms. Our view of TMM is such that it includes its own history as a sub-discipline. Therefore, History of TMM is a subject of TMM. Of course, it is quite possible to be a good mechanical engineer without any knowledge of the History of TMM. However, from the point of view of the discipline as a whole we believe that historical research is necessary. Historical research sheds light on the identity of TMM, it helps us to show who deserves the credit for specific contributions in the field, and it can lead to a fuller understanding of what machines and mechanisms are and how they have been designed and used over time. During the last two centuries the Theory of Machines and Mechanisms (TMM) has developed into an established science. The significance of TMM found its expression out of the international institutional level with the foundation of the International Federation for the Theory of Machines and Mechanisms (IFToMM) in 1969. There is a considerable literature on the general history of technology, on the history of certain specific areas of technology and on the history of mathematics, mechanics, physics, etc. Publications on the history of TMM, however, are rather rare. This book is a first attempt to collect a considerable number of papers devoted exclusively to the History of TMM. We do not refer to "humanistic" historical papers but to papers about the history of TMM with a technical content. Precisely because the subject has become very technical and in order to gather information from people who participated in the developments, a conscious effort has been made to stimulate members of the IFToMM community to write about the history of their discipline. The goal was to stimulate experts in TMM with some feeling for history, people who can understand, appreciate and refresh past works on TMM, to write a historical paper. The papers are written by and for experts in TMM with the aim to make them aware of technical developments in the past and give them further motivation and ideas for their research. The number of attendees at the HMM2000 Symposium was fifty-six, with oral presentations by authors from all around the world and mainly from IFToMM member committees. The great success and enthusiasm of the participants give the hope that very likely the HMM Symposium will be repeated in 2004, and then, every four years. Thus, I invite the reader to work on contributions on History of TMM in her/his field of technical expertise and even in developments in her/his country or geographical region. Giovanni Bianchi (1984-87 and 1988-91), Arcady Bessonov in substitution of Ivan I. Artobolevsky (1969-71 and 1972-75), Bernard Roth (1980-83), Jorge Angeles (1996-2000), Kenneth J. Waldron (2000-03), Leonard Maunder (1976-79), Adam Morecki (1992-95), and Marco Ceccarelli (Chairman of HMM200 Symposium). (The years in the brackets indicate the term of President mandate). Teun Koetsier (1991-97), Jack Phillips (1973-81), Elisabeth Filemon (1982-85), and Marco Ceccarelli (1998-2001). (The years in the brackets indicate the term of Chairman mandate). The most difficult problem most mechanism designers face at the conceptual design phase is the creation and selection of a most promising kinematic structure. Mechanism Design: Enumeration of Kinematic Structures According to Function introduces a methodology for systematic enumeration and classification of mechanisms that is not available in any other resource. With a partly analytical and partly algorithmic approach, the author uses graph theory, combinatorial analysis, and computer algorithms to create kinematic structures of the same nature in a systematic and unbiased manner. He sketches mechanism structures, evaluates them with respect to the remaining functional requirements, and provides numerous atlases of mechanisms that can be used by engineers as a source of ideas for mechanism and machine design. J. Michael McCarthy, Springer-Verlag, 2000. This book presents a modern version of the kinematic synthesis theory for open chains generally attributed to L. Burmester. The constraint equations of planar RR and PR, spherical RR, and spatial RR, TS and CC open chains are used to fit their workspace to a desired set of positions and orientations. The focus is on closed-form solutions to these nonlinear equations that capture the geometric principles of planar, spherical, and spatial movement. The presentation includes the analysis of planar, spherical and spatial open and closed chains, with discussions of inverse kinematics, the Jacobian and velocity analysis, and the classification of planar and spherical 4R linkages. Chapters on planar, spherical and spatial kinematics develop the geometric relationship between the invariants of a composite transformation and those of its factors. The goal is a parallel presentation of these fundamental principles. The final chapter examines the Jacobian for platform manipulators and develops in detail the mathematical theory of singularities that are based on linear combinations of the lines of force generated by the supporting legs. The goal of this book is a presentation of linkage synthesis theory in a form that contributes to a design theory for generalrobotic systems. Sir Robert Stawell Ball's classic book, A Treatise on the Theory of Screws (Cambridge University Press, 1900, reprinted 1998), is the definitive reference on screw theory. It presents a unique approach to mechanics that weds rotational and linear quantities into a single geometrical element, the screw. The timing of this new edition is highly pertinent because so much of the material has important recent applications in robotics, multi-body dynamics, mechanical design, computational geometry, and hybrid automatic control. Consequently, the treatise has re-emerged as a novel mathematical resource for addressing complex engineering problems. Constrained rigid body dynamics is treated in a completely general fashion, but rather than relying on mere abstractions, the author is a master at describing concrete geometric interpretations in three-dimensional, Euclidean space. A new forword in the reprint by Harvey Lipkin and Joseph Duffy is intended to provide the reader with a concise history of the author, the gradual disappearance of the theory, its re-emergence some sixty years after publication of the treatise, and a brief guide of the treatise to facilitate study by the present-day reader. Also new to this edition are a portrait of the author and a reprint of “A Catalogue Raisonne of Sir Robert Ball’s Mathematical Papers,” by E. T. Whittaker, both of which appeared in the posthumous autobiography Reminiscences and Letters of Sir Robert Ball. Brooks Cole, Pacific Grove, California. As the author states in the Preface, this 137-pp. book is intended as a supplement to a textbook on mechanisms at the undergraduate level. The book covers in nine chapters and one appendix a variety of subjects: the displacement, velocity, acceleration, and dynamic analyses of simple planar mechanisms (the four-bar linkage and the slider-crank mechanism); force analysis; planar robots; two case studies, the Geneva mechanism and the trebuchet; plus a Simulink tutorial. At the outset, the author focuses on the free-body diagram approach to setting up mechanism equations of motion, as opposed to the Lagrange equations. The author justifies the choice on grounds that the Lagrangian formulation is graduate-level material. This statement may be true in most of North-American engineering colleges, but not in Europe or Canada, where the Lagrangian formulation is taught in the undergraduate mechanics courses. The instructor will find various numerical examples that can be used in class to illustrate concepts.